The focus is on nourishing healthy tissue in the mouth; preventing and healing gum infections; and preventing and healing bone loss. When there are deep pockets, gaps between the gum and bone (early-mid periodontal disease), bacteria multiply there and typically erode all the healthy tissues, including eventually the bone. The herbs that helps to maintain a healthy mouth, and/or to heal infections, strengthen gum tissue, and tighten teeth, are: plantain leaves, witch hazel leaves, twigs, and flowers, yarrow flowers and leaves, echinacea root, sage leaves, rosemary leaves, horsetail, oat straw, nettles, pine needles and twigs, roses and rose hips, elder blossoms and berries, and hawthorn flowers and berries. Other herbs such as usnea, burdock, goldenseal, myrrh gum, bloodroot, violet leaves, and white oak bark. Salt, sesame oil, propolis, and green clay also found to be helpful. These can be used in a variety of ways, including, teas, mouth rinses with teas or diluted tinctures, dried and powdered herbs used as tooth powders/pastes, and direct application of softened plants as poultices on swollen tender gums. Herbal teas or diluted tinctures can be put into a water pick to direct the herbs deep under the gum line. When using this, use machine on the lowest possible setting, and rinse it out with plain water afterward. Floss it gently. There are many other herbs and natural substances that can be used, too, such as baking soda, neem, or cloves. Horsetail, also called shave grass, is an ancient herb on Planet Earth. Its highly assimilable mineral content is very useful for helping rebuild bone and other connective tissue. Remember bones should be strong not hard. Strength requires resilient flexibility to withstand pressure and constant impact. Mere hardness will more likely lead to fractured teeth and bones. It is best to use only spring-gathered horsetail, since its increasing silica content can be hard on the kidneys as the plant gets older and more brittle. Horsetail is a plant that is best used on and off, rather than as a constant daily source of minerals. Any pain in the kidney area is a signal that too much horsetail is being consumed. Adjust the dosage and frequency of use, and you will be just fine. Horsetail can be a kidney-healing herb, too. Fresh horsetail can be cooked into soups and then removed, like bay leaves. Fresh horsetail can be steeped in apple cider vinegar for six weeks or more before decanting and adding to food. Generally don’t use horsetail as a tincture. Frequently enjoy it as a simple tea, pouring boiling water over one tablespoon of dried herb and steeping for 15–20 minutes. It mixes beautifully with aromatic (and astringent) rose and elder blossoms for a delicious mouth-healing infusion. Put horsetail into a long-steeping infusion, tend to put in a small amount, adding about two tablespoons to one quart of oat straw infusion, for example. Oats are well-known for their abundance of highly assimilable minerals that nourish our musculoskeletal system, including our teeth and the bones in our jaw. Steep dried oat straw, including some tops, for about eight hours for a sweet, mellow-tasting brew that is infinitely more satisfying and safer than swallowing a bunch of mineral supplements. This can be used as a daily bone-building tonic, alternating with other mineral-rich infusions of herbs such as nettles (Urtica species), red clover (Trifolium pratense), red raspberry (Rubus idaeus), and alfalfa (Medicago sativa). Oat straw can also help with the kind of tension that can lead to temporomandibular joint syndrome (TMJ), which then causes teeth to get ground down. Add a couple of tablespoons of dried St. John’s wort (Hypericum perforatum) to increase the muscle-relaxing effects. Regular use of plantain leaves to maintain healthy gums. Plantain’s nutty, green taste and juicy, chewy texture make it a nice addition to a fresh salad. It’s a gentle antiseptic, cleaning out infected bacterial pockets, and its astringency helps gums adhere to bone. It is also pain-relieving, always an issue with problems in the highly sensitive area of the mouth. When a problem is acute and sudden, as opposed to chronic and longstanding, results are often seen very quickly. For example, a woman called me to say her grown son was getting periodontal surgery the following week, and was there anything to be done to help. Chew a handful of leaves and packed mouth with the result, putting it between cheeks and gums. Do twice daily. Instead of fresh leaves, pour boiled water over dried plantain leaves to soften them. Also pour boiling water over fresh leaves, but chewing it makes it even more antibacterial. Warning: It may hurt at first to have something touching a seriously infected area. Plantain and most of the other herbs can be combined nicely with internal use of echinacea infusion or tincture (always diluted in tea or water) in the presence of active infection. Echinacea can be used every few hours in 25-drop doses or so, or can be used 3–4 times daily in higher doses of roughly half the person’s body weight in drops, or a ½ cup of an 8–12-hour infusion, 4 times daily. Sweet blue violet is another poultice for soothing inflamed gums. Its salicylic acid content helps it to relive pain and its mucilaginous quality can be a balm for tender mucus membranes/gum tissue. Fresh leaves, softened by chewing, or with boiled water, can be used. It can be drunk as infusion as well. Witch hazel is a major herbal mouth ally. Rich in tannins, it is highly astringent and anti-inflammatory as well as being a good antibacterial. It’s an excellent choice for bleeding gums. The leaves can be used as a healing poultice. Additionally, witch hazel leaf and/or twig tincture (flowers can be included) has a regular place on my bathroom shelf. Put it onto my wet toothbrush, with or without natural toothpaste, once a day when all is well (and use it more frequently if infection is present) and gently brush along the gum line with it. Combine it with yarrow tincture for this purpose. Witch hazel can also be massaged into the gums when prepared or purchased as infused oil. Yarrow is one of my foremost mouth allies. Use flowering tops including leaves and stalks. For maintenance, use diluted yarrow tincture to gently brush and massage the gums, toning and tightening them. Yarrow is a superb anti-infective and anti-inflammatory. Yarrow and witch hazel are two of my favorite wound-healers, and an abscess is like an infected wound in the mouth. Yarrow is effective both as a tincture and as an infusion (steep for at least an hour). If there is active infection in the mouth, yarrow will help with both pain and healing. For those who lost front teeth found yarrow very helpful before and after getting dental implants. Yarrow is indirectly useful for building bone. It helps the formation of healthy bone marrow—“yarrow for marrow.” Many people with chronic mouth problems suffer from bone loss, and there is a tendency for this to happen to anyone as people tends to age. The infused oil of St. J’s wort can also be massaged into the muscles of the jaw to help relieve jaw tension. If nighttime jaw tension or teeth grinding is a problem, one might also try taking St. J’s wort tincture (25 drops) with 5–7 drops of skullcap (Scutellaria lateriflora) tincture within thirty minutes of going to bed. It can be a huge help. Chamomile (Matricaria chamomilla) works wonders for some people; it is underrated as an antispasmodic. After a long and arduous dental treatment, it helps relax and relieve a tired, tense jaw that had to be held open for long periods of time. Chamomile is effective used as a poultice around the outside of the jaw, where even steeped tea bags can be helpful, and can also be drunk as a simple tea, brewed for five minutes. The mouth thrives on good sources of Vitamin C such as hawthorn berries and flowers (Crataegus species), pine needles and twigs (Pinus species), and roses (Rosa species), using both flowers and hips. One could also enjoy elder blossoms and berries (Sambucus nigra) for their rich array of bioflavonoids. It is suggested adding all of these into your diet on a regular basis in the form of long-steeped infusions of dried herbs (except for the pine, which can always be used fresh). Rose hips, hawthorn berries, and elderberries are best when they are steeped, with an airtight cover, for about twelve hours. Steep the flowers for one to two hours, and the pine needles can be steeped for as long as one like. Put one cup of well-cut-up pine needles, and tiny twigs or bark, into a quart jar. It is also a superb antiseptic infusion. The resin of pine can be put right onto an infected area in the mouth for even more antibacterial effect. Use both rosemary (Rosmarinus officinalis) and sage (Salvia officinalis) tinctures in the same way as the witch hazel and yarrow tinctures described above, to brush the gums. However, to dry these herbs and mix them in roughly equal amounts. Sprinkle some of this dried powder on toothbrush (with soft, natural bristles), with or without a dab of toothpaste, and brush teeth with this once or twice every day. This is remarkably effective and nourishing to the gums, as well as being anti-infective and high in antioxidants. Fresh sage leaves rubbed onto teeth help whiten them, and when massaged into the gum lines help gums adhere to the bones and roots of the teeth; in other words, they shrink and close up periodontal pockets. Old-fashioned warm sea-salt rinses are quite helpful as an antibacterial mouth rinse. People use powdered green clay as toothpaste or plaster on the gums. It is powerfully drawing, so make sure it is not too strong. If you ever have a sliver of a toothpick or seed stuck in a gum, clay makes an excellent drawing poultice, as does plantain. Baking soda or peroxide rinses and toothpastes are often problematic for people with sensitive gums. It causes bleeding. If that happens then discontinue using. 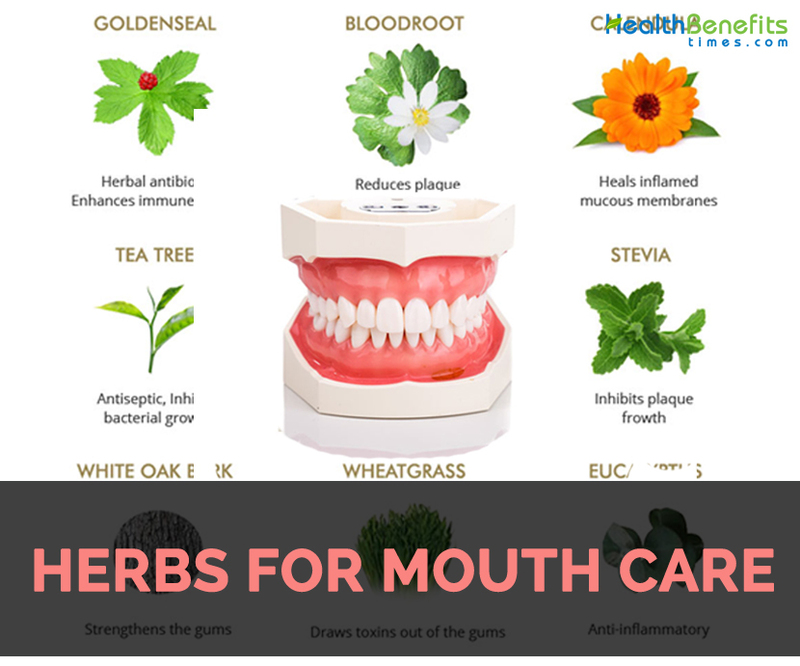 Goldenseal, myrrh, and bloodroot are commonly used for mouth rinses; but generally such strong plants are not needed to achieve optimum mouth health. Use plants that are more common and abundant, more gentle and yet still powerful. For mouth care back in the late 1970s, people used to massage gums with sesame oil (Sesamum indicum) and drink white oak bark (Quercus alba). White oak bark tea or tincture helps strengthen the tissue in the mouth. 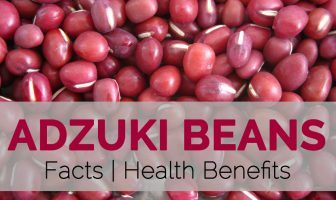 It is rich in tannins and therefore highly astringent, and high in quercetin, similar to the pain-relieving, anti-inflammatory, salicylic acid. At the time, try to make tea from powdered white oak bark, and found it impossible to drink. Now use the cut bark as an overnight infusion or the tincture. Sesame oil, naturally antibacterial and anti-inflammatory, is perfect to massage into the gums for maintaining or improving their good health. As with every other body system, herbs are a piece of the puzzle, not the single magic bullet that takes care of everything. The mouth is one end of your digestive tract, so diet and healthy elimination are also a big part of mouth health. The bio-available nutrients in any edible wild greens and berries will help heal the mouth. Stress, family history, kidney and bone health, general depletion, and environmental factors such as excess radiation all play a part in the health and/or illness of mouth. Finally, there are metaphysical or relational factors to consider. The mouth is one of the most obviously interactive openings into the body; it connects our insides with the world around us. Its vitality is connected to our fifth chakra, related to self-expression and speaking one’s truth, or perhaps to having been shamed or silenced. So in addition to good oral hygiene, great nourishment, and practicing herbal mouth care, learn to speak your truth, to add your voice and perspective into the mix. Learn to ask for help, to express love freely, to know when to hold silence, and when to shout “no.” Learn to let go and howl, or sing, or tone—for healing, and simply to express yourself fully and freely for the sheer joy and delight of it.